typhoons, waves murderers, eruptions of volcanoes, etc. crust at the appropriate frequencies. 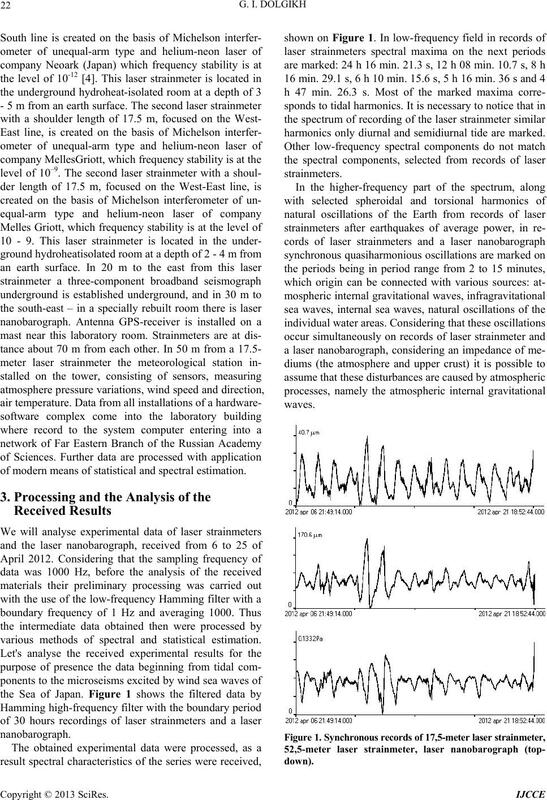 of modern means of statistical and spectral estimation. various methods of spectral and statistical estimation. harmonics only diurnal and semidiurnal tide are marked. meter and 52,5-meter laser strainmeter (top - down). ing in the Sea of Japan. 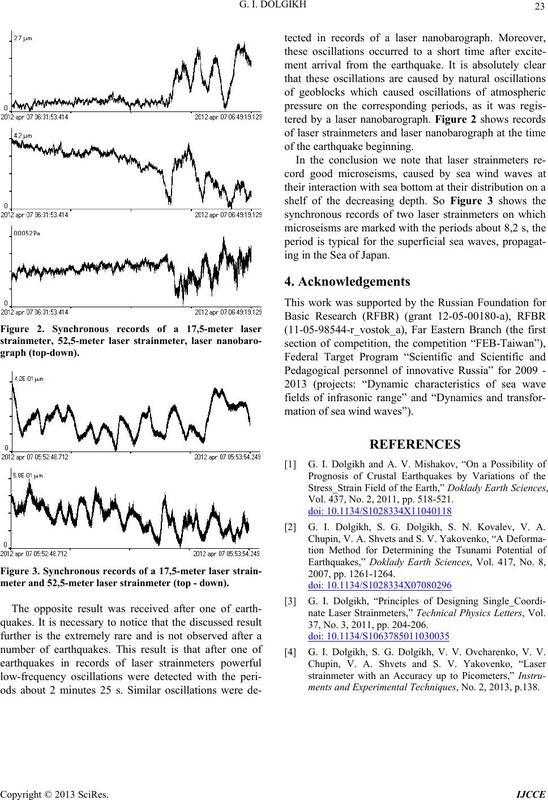 mation of sea wind waves”). Vol. 437, No. 2, 2011, pp. 518-521. 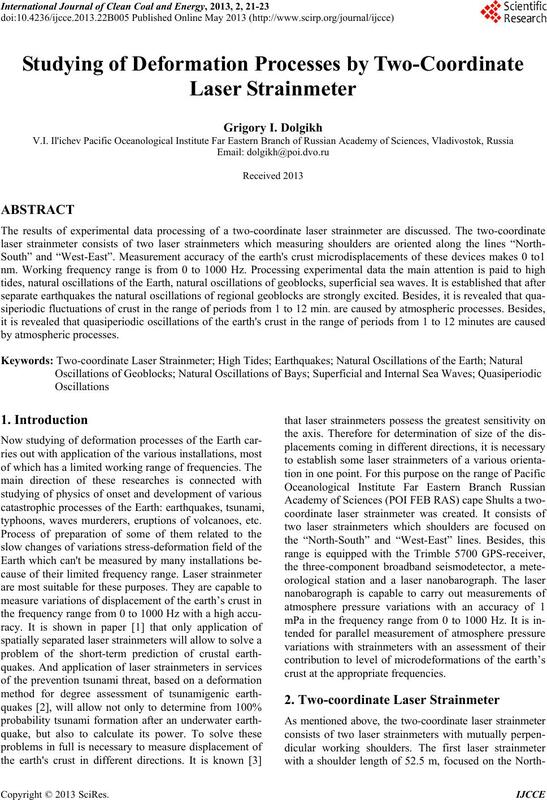 G. I. Dolgikh, S. G. Dolgikh, S. N. Kovalev, V. A.
nate Laser Strainmeters,” Technical Physics Letters, Vol. 37, No. 3, 2011, pp. 204-206. G. I. Dolgikh, S. G. Dolgikh, V. V. Ovcharenko, V. V.
ments and Experimental Techniques, No. 2, 2013, p.138.